You can be sure that you’re going to encounter exponents on the SAT. Hopefully, once you’ve been through this post, you’ll look forward to the opportunity to spank these questions like they deserve. Look at them, mocking you. They’re totally asking for it. Show no mercy. x4 = xxxx. Don’t be ashamed to do this when you’re stuck. You’ll be amazed how often this will unstick you. p3p5 = p3+5 = p8. Why? See the bullet above. r9/r4 = r9-4 = r5. Again, why is this true? Think about it. Does it blow your mind? (z3)7 = z21. Why is that? y3 + y4 = y3 + y4. There’s no simplifying (although you might decide to factor a y3 out depending on where you’re trying to go — remember this for practice problem #18 below). If you make the mistake of adding these exponents, people will laugh at you in public places. Before we go further, let’s make sure you’ve got this. Try simplifying the following. Hold your mouse over the questions when you’re done, and the answers will reveal themselves, as though they were genies and you Aladdin. Don’t click, just hover. Honestly, these appear very rarely on the SAT. I’m including them for completeness’s sake, but don’t sweat these too hard. The numerator is the power. The denominator is the root. A negative exponent signifies the reciprocal of the corresponding positive exponent. In other words, the base is on the wrong side of the fraction line. Try some practice questions now, bro! wait how do you do the last question?? Plugging in works really well here. Say z = 2, p = 3, and q = 5. Only one answer should work. Why doesn’t C work too? If you apply the exponent rule to (C), it simplifies to z^(pq – p). That’s not the same as z^q. Plug in to convince yourself. 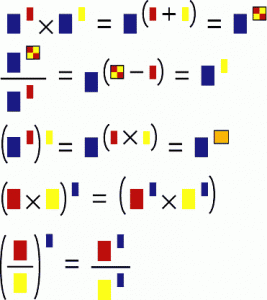 Say p = 3 and q = 5. z^(pq – p) = z^(15 – 5) = z^10. But z^q is just z^5. Not the same thing. There is a slight error when you say “Anything raised to the zero power equals 1”. For example, 0^0 = undefined, not 1. 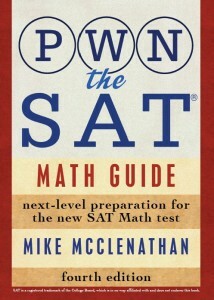 Also, if I get this on the SAT, what should I do ? So there you go…disagreement. Sometimes that happens, even in math. But don’t worry about the SAT, I can tell you with certainty that you won’t encounter 0^0 there. Wouldn’t this be 64^2m ? Thanks for clarifying. I was under the assumption that everything gets squared because it was inside the parentheses. It looks like I have work to do on exponents, but thankfully I have this! For #17 I’m confused because I plug in z=2, p=3 and q=5, and when i do the work i get 2^3/2^-1.., how does that come out to 8? it comes out to 16? I think you’re getting turned around here with the p and the q. You’re looking for the choice that’s equal to z^q, which with your numbers should be 2^5 = 32. So you have (2^3)/(2^(3–5)) = (2^3)/(2^–2), which does indeed equal 32.